Sterile surgical stainless steel Chinese style needles with a spiral wound metal handle. 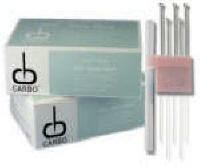 Sterile surgical stainless steel acupuncture needles with a spiral wound metal handle. 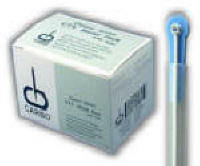 5 needles with 1 insertion tube per pack. Box of 100 needles.